Citizens of Greece are currently having their freedoms of speech and press taken away. According to Reporters without Borders the World Press Freedom Index ranked Greece at 84 with one having the most freedom and 179 being the least free. In 2010 to 2012 Greece was ranked at 70, stating they fell due to the violent attacks on the journalists from the extremist groups and police. Greece’s economy is on a slow rise after the past three years of being in an economic crisis and having the European Union bail them out. This crisis has caused many cut backs with the Greek Broadcasting Organization or ERT in Greek being shut down and establishing the New Hellenic Radio, Internet and Television or NERIT with 500 decreased to 132 members of staff. There have been protests that are being investigated by police that questioned the people’s right to assemble peacefully. The Golden Dawn Party or Neo-Fascists are growing in population with protests on both sides as the result. Protests have been broken up violently by police and people were later questioned for their attendance at the protests. Greece has a rich history that involves freedom of speech, which started in 640 B.C. when Athens began forming a democracy (Martin 92). Athens grew into a republic where full citizens had the right to be a representative of the city-state. Full citizenship required native-born men to be free and own land. In the Late Antiquity Era (300-1453), the Byzantine Empire controlled Greece (Aral 456). The Law of the Twelve Tables was brought over from the Roman Empire to be enveloped by the Justinian’s codes. Not much can be stated from these codes for speech because of the destruction of the originals. In 1071, the Ottomans defeat the Byzantine army and governed in a constitutional monarchy where there was a parliament, but no political parties (Birtek 19). They saw human rights not in an individual perspective, but in entities. The two distinct types are classical rights and economic, social and cultural rights. Classical rights include freedom of expression, but neither writes about speech nor press. King Otto was succeeded in 1862 and with the new king, King George I, came a democracy monarchy. From the end of the 19th century throughout the 20th Century, Greece seems to set itself up for a promising democracy time and time again, but it ends up failing in part to world powers and leaders (Woodhouse 312). Greece can be found on the Mediterranean Sea in between Italy and Turkey. It is a country known for mythology, Socrates, and their food. Greece’s population is at 11.8 million with the highest number part of the population in the 35-44 age group, which can cause stress on the younger age groups. (Index Mundi 2013). Greece does not collect data on ethnicity. Throughout Greece’s history, the people wanted to have power in their government. They focused their speech mainly on trying to get the correct government out of the changes their history had seen and becoming full citizens. Greeks and other European countries, wrap their human rights around with citizenship. The immigrant laws in Greece are very strict. If you are not born in the country or married into it, you are not a full citizen. Currently, Greece is going through controversial protests, like the one after the hip hop artist Pavlos Fyssas was murdered, that the population sees being handled by the government and police in a questionable manner. In May 1993, four students were brought to trial for distributing one pamphlet that criticized the government for not recognizing Macedonia (Selfa, 1993). Macedonia was a republic that used to be apart of Greece but now shares only a northern border. 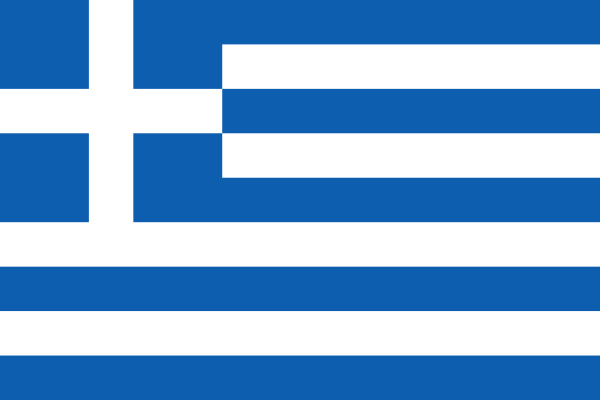 Greece did not recognize the country as an independent republic until 1995. This trial goes against Greece’s constitution, Article 5, “persons shall have the right to develop freely… to participate in … political life of the country,” and brings up the question of the state laws with Article 14, “Every person may express and propagate his thoughts orally, in writing…in compliance with the laws of the State.” (Greece 2008) The victims were members of the Organization for Socialist Revolution and were sentenced to 19 months in prison. Only after the issue was brought to America did Greece and Macedonia resolve their disputes over Macedonia’s name and flag. Greece started to recognize them as country. Students and teachers were protesting the police interrogation that occurred during the week of February 17, 2014(Syllas 2014). Students were questioned about their teacher’s, parent’s, and own political beliefs. Some students claimed that they were threatened with having a criminal record. The students were being interrogated, because they and teachers attended the protests for Pavlos Fyssas’s death. February 20 Piraeus’ public prosecutor temporarily withdrew the case, but No. 2811 states if people are interrupting the “smooth functioning of public primary school” they can receive at least six months in prison (Greece 1999). There is a new amendment to Article 19 that has been introduced to the government that will change the immigration code. Current this article only covers, “free correspondence” for the citizen and the right of judicial authority to, “not be bound by this secrecy for reasons of national security” (Greece 2008). This amendment will automatically deport an immigrant that makes a complaint about being a victim of unlawful violence and not able to have evidence of the occurrence (Muiznieks 2014). This may silence immigrants when something illegal happens to them. Chillingly this can be compared to how the immigrants or non-citizens of Germany were treated during Hitler’s reign. In March 2009, armed groups in Greece started attacking journalists. One attack happened when two men barged into Alter TV, a private television station and fired shots and explosives right before the main broadcast was about to happen. Police did not make any arrests and were unable to pursue the men (INFLEX 2009). Journalist Kostas Vaxevanis published “Lagarde list” in 2010 that had 2,000 Greek citizens names holding Swiss bank accounts (IFLEX 2013). This story was so controversial, because it suspected these citizens to be tax evaders. Christine Lagarde, finance minister, gave this list indirectly to Vaxevanis to shed light on the tax evasion problem that is a big part of the debt crisis in Greece. Vaxevanis went to trial for publishing this list in October 2012. In November 2013, more than a year later, he was acquitted of the charges. Later, in October 2012, two journalists were suspended from the Hellenic Broadcasting Corporation (ERT) for criticizing a minister over the subject of torturing anti-fascists. Article 15 of the Greek Constitution states “television shall be under the immediate control of the State” which makes this suspension completely legal. In June 2013 the government shut down the ERT completely with no discussion. They fired everyone, but the 2,600 employees had a sit in and kept broadcasting for another six days in the building (Freedom House 2013). This shutdown was part of the cutbacks in the austerity policies. The plan is to create a new broadcasting foundation with less money spent which is exactly what happened in January 2014 with the New Hellenic Radio, Internet and Television (NERIT). Only 133 staff members from the once 500 are to now cover all the news in Greece. The Journalist’s Union of Athens Daily Newspaper is advocating that NERIT will favor no work experience applicants over fired ERT colleagues (Iflex 2014). There are a lot of similarities and differences between the United States and Greece’s free speech and press issues. The U.S. has imprisoned citizens for giving soldiers pamphlets that were against the Great War in Schenck v. US (1918). Yates v. US makes this pamphlet okay to distribute to anyone, still in Greece if a student was distributing pamphlets against the government they have the chance of going to jail. When it comes to the right to assemble, the U.S. riot police have not been the most proactive group. A big example is the 1968 Democratic National Convention. At the convention citizens were having a, “ A Festival of Life” outside the convention and a riot between the citizens and police (History). A more recent police brutality was when they used pepper spray on groups of people wanting to get into a music performance at SXSW. The United State’s immigrant laws are very flexible compared to Greece because the children are able to go to public school, parents can obtain visas and there are specific learning programs directed towards immigrants to strengthen their education. Greece is going into the direction where immigrants will soon be invisible to the system and have no protection. This is taking away rights of humans for being in a different country. Police in the U.S. pursue any attacks that are done in front them or that involve the media. When police do not take action against of a wrongdoing, the media is easily able to bring it to the population’s attention, which would force the police to do something about it. This is difference media’s power in Greece where the media power is very weak and can cause delays. Comparably the United States has a higher ranking than Greece on Reporters without Borders and can be seen by Internet use, immigration laws, and journalist protection. Greece has gone through its ups and downs by first being the founder of human rights to now having some of those rights stripped from the citizens. Hopefully through the steady economic rise those rights will be able to be given back to the people in Greece. Deutsche, W. (2014, March 18). Greece secures further Troika funding without new austerity measures. DW. Martin, T.R. ( 2013). Ancient Greece: From Prehistoric to Hellenistic Times. Miller, W. (1936) The Ottoman Empire and Its Successors. Great Britain: Cambridge. Rodriguez, M.E. (2009). Under the Flags of Freedom: British Mercenaries in the War of the Two Brothers, the First Carlist War, and the Greek War of Independence. Maryland: Hamilton Books. Woodhouse, C.M. (1977) Modern Greece: A Short History. London: Faber and Faber Limited. Schenck v. US, 249 U.S. 47. (1918). Retrieved from Westlaw Campus database. IndexMundi, ( 2013, January 3). Greece Demographics Profile 2013.